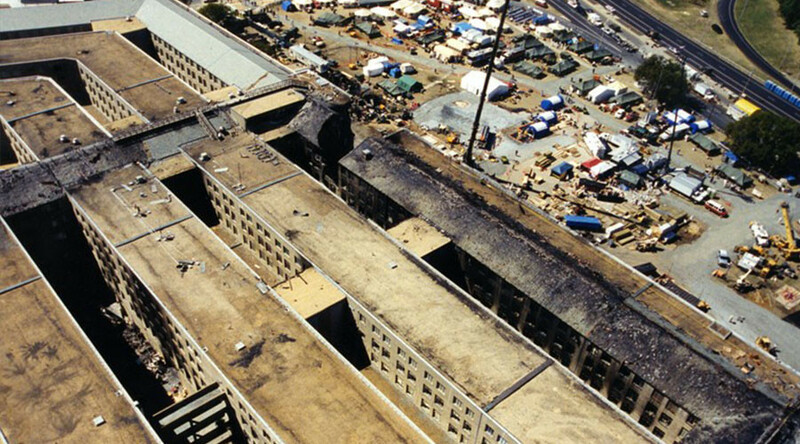 The FBI has released never-before-seen photos of the devastation caused by the Pentagon attack on 9/11. The images range from airplane debris to rescue workers searching for survivors. A total of 27 new photos were released, showing the aftermath of the attack that claimed 184 innocent lives. 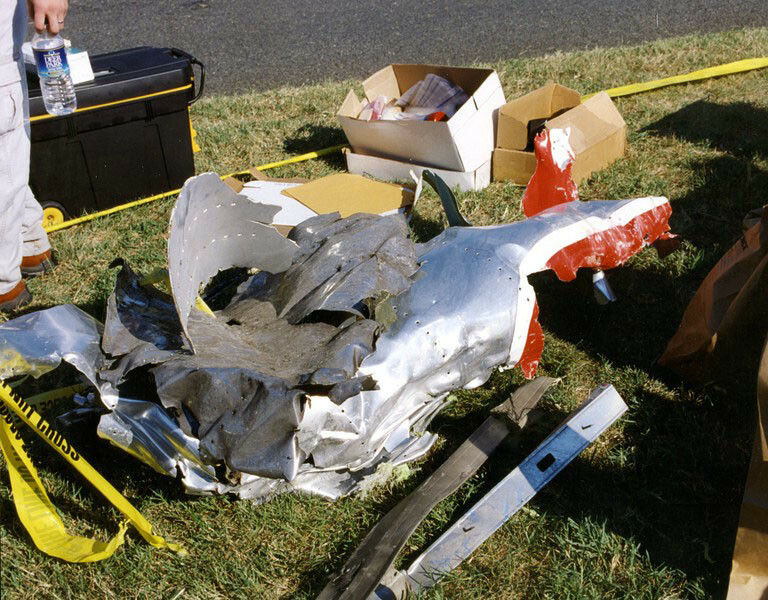 Some of the images show fragments of American Airlines Flight 77, which was carrying 59 passengers and crew members when it crashed into the building. The attack killed everyone on board, including the five hijackers. 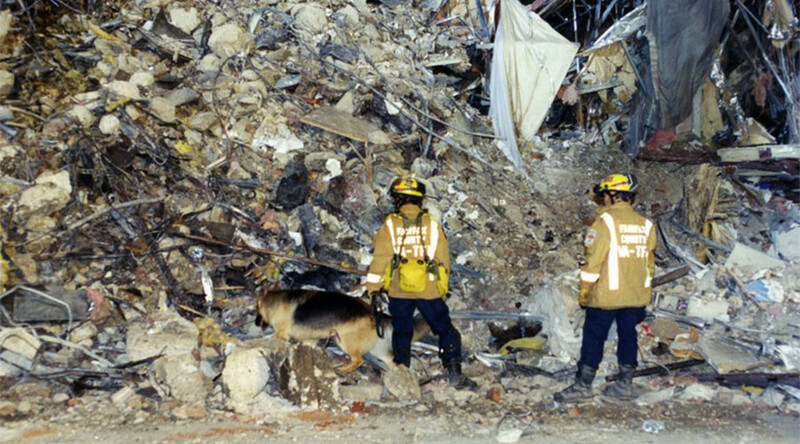 Other photos show devastating images of the iconic Pentagon building, including a search dog scouring through mountains of debris. Another shows an American flag which seems to be in the process of being scooped up by a bulldozer, barely standing amid a pile of rubble. The attack on Pentagon was a part of the wider 9/11 attacks which altogether killed 2,977 victims and 19 hijackers. The plane that crashed into the Pentagon clipped off light poles before hitting the western side of the building. The aircraft tore a hole that extended more than 100 yards into the building. It took firefighters days to extinguish the flames. 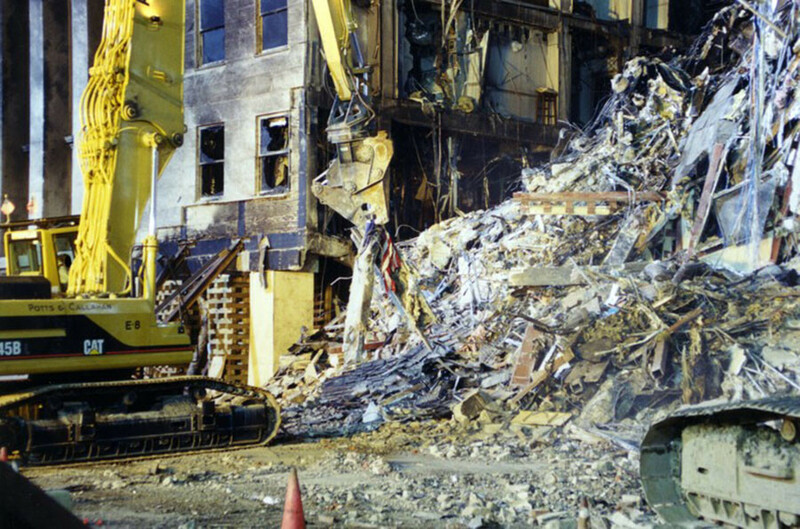 Experts said at the time that the death toll would have been much higher if the plane had struck another part of the building. The area it crashed into was undergoing renovations and was therefore relatively empty at the time of the attack.